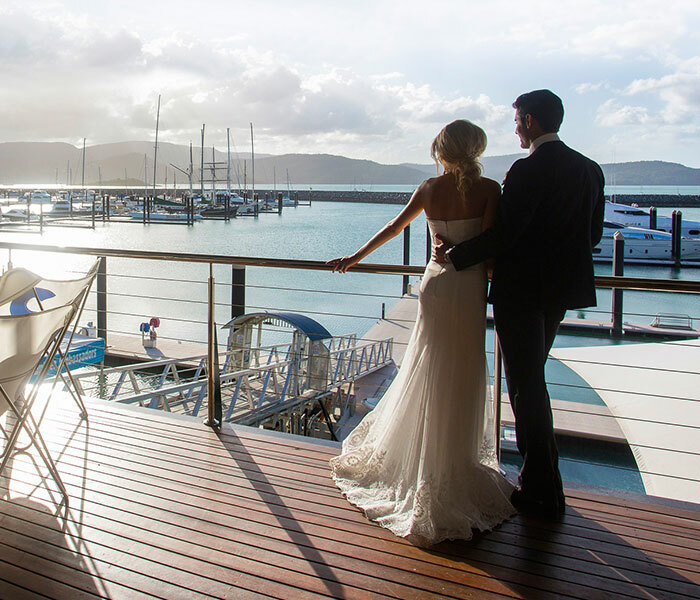 Located in the heart of the award-winning Abell Point Marina, Lure is setting a new standard in wedding venues for the Whitsundays. With unrivaled water views from the expansive balcony, a light and contemporary interior and the perfect vantage point for your wedding to transition from day into night, Lure promises to offer a tailored and refined wedding experience. 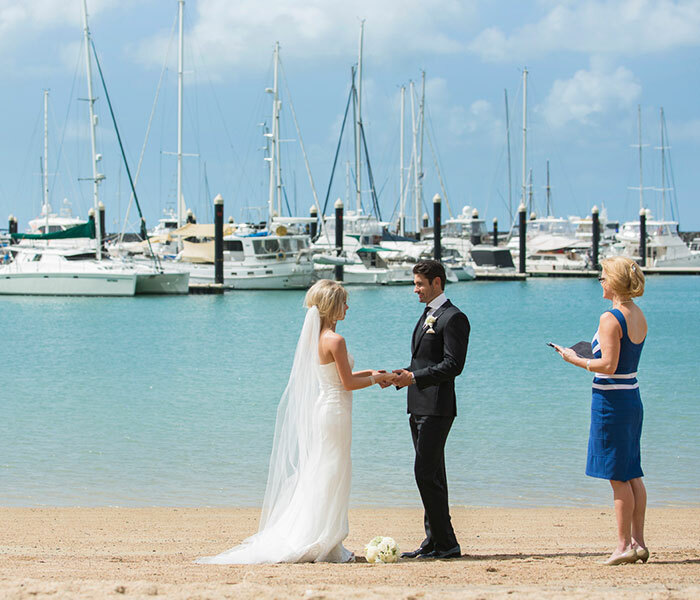 Being located in the heart of an award-winning marina precinct, we have several options for ceremonies as well. If you would like to have your ceremony on-site at the venue, on the Marina foreshore, in our lush private parkland or at a nearby beach, we work very closely with an experienced team of wedding planners to ensure your day runs seamlessly. 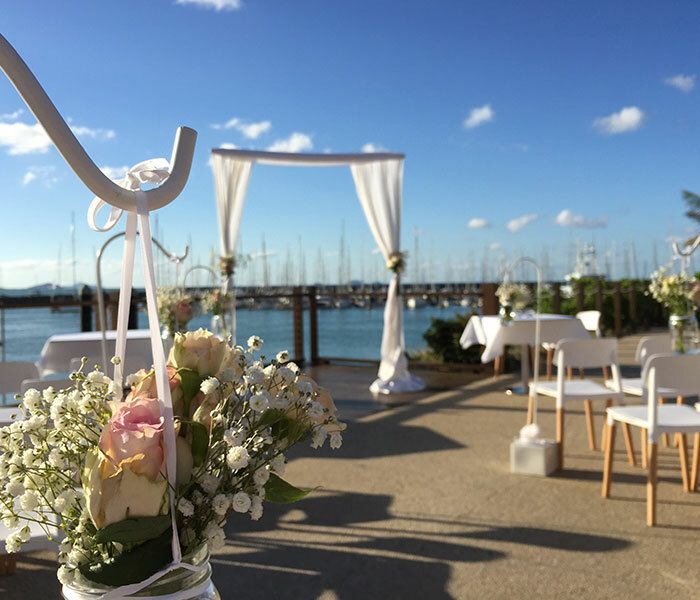 While there isn’t accommodation attached to the venue, just a short walk from the marina precinct are a range of deluxe hotel and resort style accommodation options with stunning water views over the marina where you will celebrate your wedding day. 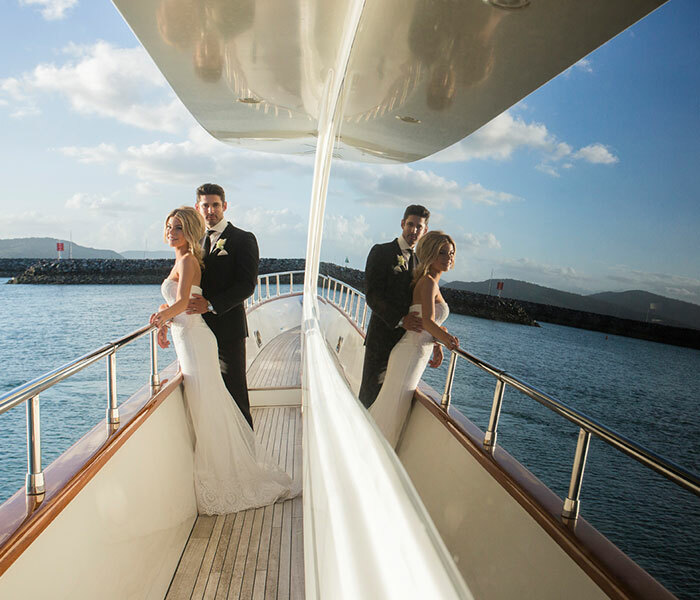 We work closely with our accommodation partners to ensure a seamless and first-class Whitsunday wedding experience. Wedding cake accompaniment of Chantilly cream and berry coulis if served as dessert. A cake box is also supplied.